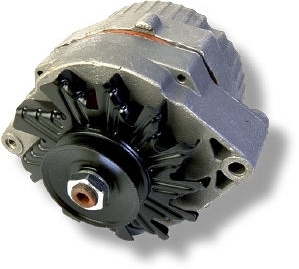 When we diagnose your starting and charging system, we first look at your alternator belt and pulley to be sure that there is correct tension on the belt so that the alternator is turning at the correct speed, and to be sure that your belt does not squeak. Next, we check your battery cables, wiring and connections. There is a good amount of vibration in every vehicle, and we want to be sure nothing is coming loose. After checking the basics, we move on to testing the battery itself. First we load test the battery for 15 seconds at 50% of its amperage. This tells us if your battery has any depth of charge or if it is a surface charge. If it is a surface charge your car may start fine all of the time, but if it does not start right away (like when it is cold out) your battery will die and you will need a jump start. We charge the battery for a full three minutes and test the max voltage that the battery shows. This is another test that shows the health of your battery. If the battery checks out well, we go on to test the alternator and regulator. All alternators are rated for a specific amperage, so we test your alternator to be sure it is putting out the correct amount. We then test the regulated voltage and regulator operation. We then check amperage draw and voltage drop across the starter. This tells us if there is additional resistance in the starter itself, signaling that it is bad. We check all these figures against the manufacturer's specifications to be sure they are within spec. We then turn off the key and check the system for very small draws such as a clock or an alarm system. If this draw is over a certain number, you could be looking at a dead battery if your car sits for an extended period.